We Remember Michael Flicker & the Flicker Family ! 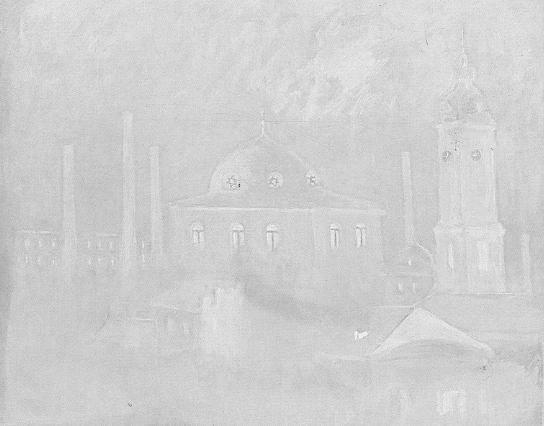 Michael Flicker was born in Bialystok, Poland. He served as the Chairman of the Organization of Former Jewish Residents of Bialystok and its Surroundings in Israel for more than twenty years, during which he was working with utmost loyalty and dedication for the perpetuation of the Jewish Bialystok legacy to future generations. 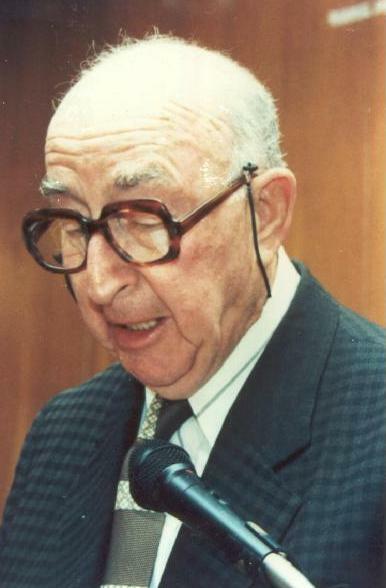 Chairman Michael Flicker was at the center of this vast enterprise and became the main initiator for perpetuating projects coping with the community's activities during the Holocaust. He saw in this undertaking a sacred mission and achieved outstanding results. The establishment of a "Yad VaShem" monument for the community of Bialystok and its surroundings at the Polish Jewry Forest in the hills of Jerusalem. 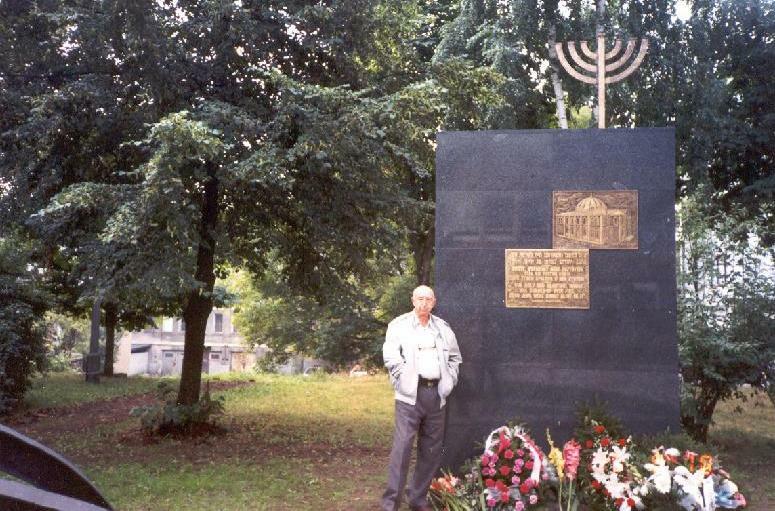 The renovation in 1993 of the statue in memory of the Bialystok Ghetto Rebels who fell during their fight against the Germans on the final days of liquidation August 16,1943. The erection of a Monument of Testimony in Bialystok in the memory of 2000 Jews who perished in the fire of the Great Synagogue at the hands of the Nazis. 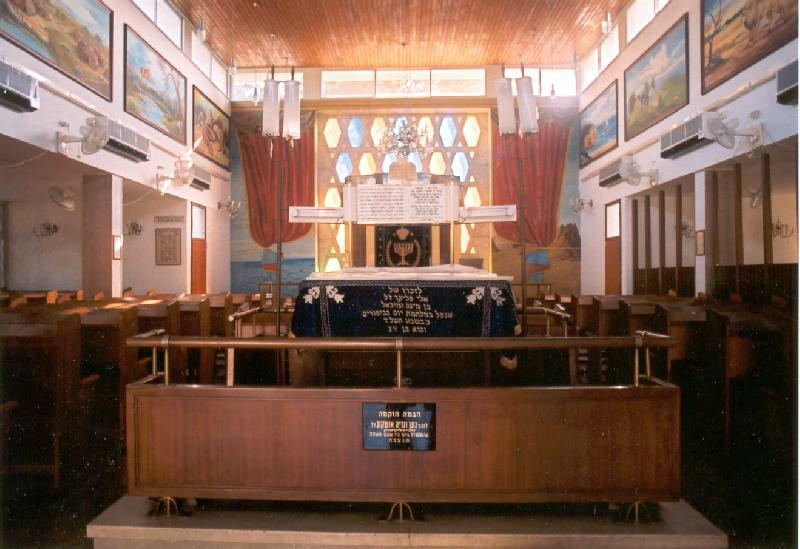 Promoted the establishment of a Perpetuation Hall at the "Bialystok Temple in Yahud after its renovation in 1991, serving as an everlasting monument for those who died during the extermination of the beloved community - the Jewish city of Bialystok and its surroundings. This monument will symbolize its glorious past and origins and the terrible events of the Holocaust and its heroes as told by the Jews of Bialystok. Michael contributed a lot to the erection of this special and unique monument - "Welcome to Kiryat Bialystok" - a memorial for the 60,000 Jews of this city who perished in the Nazi Holocaust. The personality and work of Michael Flicker of blessed memory, beloved among all, will remain in our heart forever. 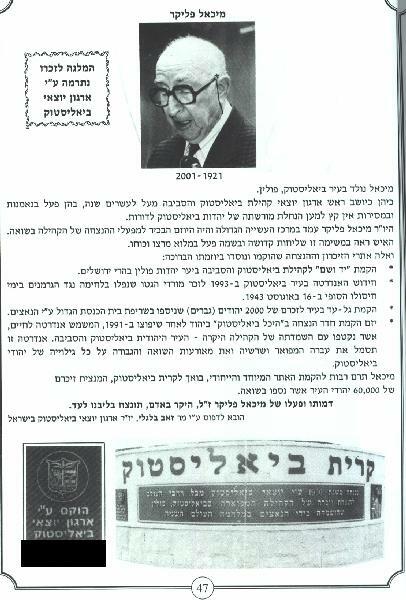 Prepared for printing by Mr. Zeev Balglej, former Chairman of the Organization of Former Jewish Residents of Bialystok and its Surroundings in Israel. "To the memory of Eli Flicker, son of Minna & Michael who befell in battle, at Yom Kippur War, Shevat 20, 5734 (12.2.1974) and he is only 24 years old"